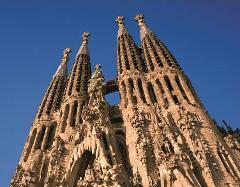 Visit all the best sites in Barcelona: Sagrada Família, Casa Batlló and La Pedrera – the Waterfront with Columbus Monument and Old Port, and Montjuic Hill with its panoramic views over the city. You will end the tour in Poble Espanyol. 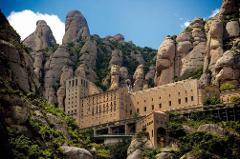 This tour is the easiest way to visit Montserrat! Spectacular mountain and views, ancient monastery, holy shrine. An incomparable place not to be missed. 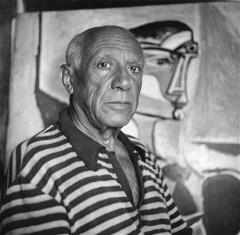 Skip the line to visit the Picasso Museum and discover the bond between Picasso and Barcelona. The Museum is key to understand the development of this young artist into a genious. Don't miss the series of Las Meninas (1957). Visit the Penedes wine region on the way to Montserrat. 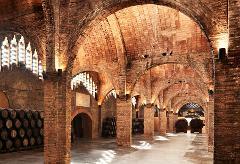 Discover the Cathedral of Cava. Codorníu has the largest underground cellars in the world. The visit includes a tour around the cellar in an electric train and a taste of cava. The Dalí Museum will reveal the secrets from conscious-unconscious going beyond the obvious. Do not miss Girona, a jewel of culture and history, with medieval and Jewish quarters and the colourful houses on the Onyar river. 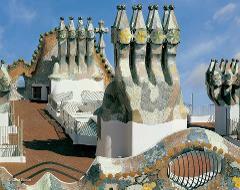 Drive along Passeig de Gràcia to see the Gaudi Houses, Casa Batlló & la Pedrera. Skip the line and marvel the unfinished temple of the genius architect Antoni Gaudí: the Sagrada Família, the single most important site in Barcelona. 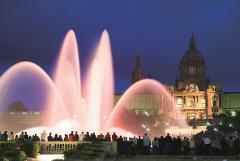 Admire the Magic fountain of Montjuïc with its dancing water, light and music show. Enjoy the spectacular views from the Montjuïc lookout. Don’t worry about the return, we will take you back to your hotel or as close as possible. Outstanding views over the city. Drive along the waterfront by the Old Port, up Montjuïc hill, past the Olympic Ring. Visit Poble Espanyol at your own pace, with about 45 minutes free time to see the village and have lunch. See the Gaudí houses on Passeig de Gràcia, visit the Sagrada Família temple and spend the afternoon in one of the collection of Chic Outlet Shopping® Villages across Europe: La Roca Village. 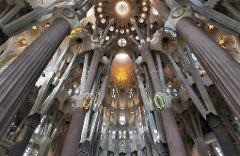 Save 19 euros combining two tours in one day: Montserrat & Codorniu Wine Cellars Tour + the afternoon Gaudí - The Sagrada Familia Tour.